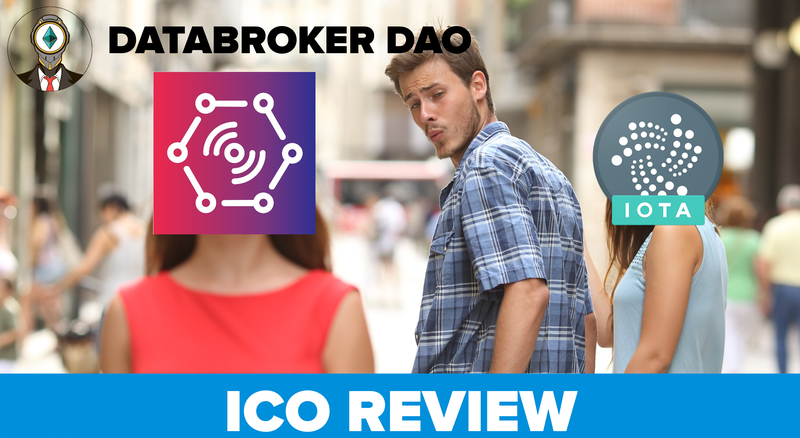 Many investors who got interested in DataBroker DAO project, expressed their concerns about similarities between DataBroker with IOTA. For some reason, they thought that the former is trying to compete with the latter. 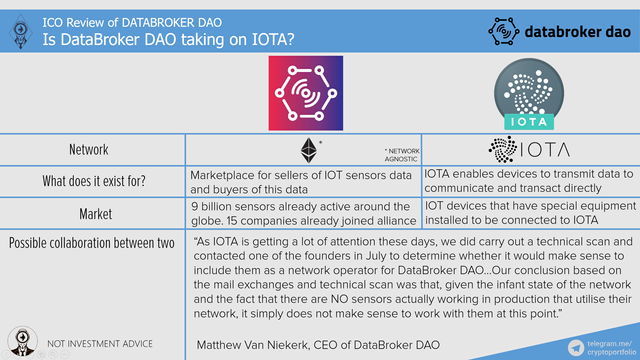 Well, the short answer is definite NO, they are not competitors (IOTA should be more concerned with Hdac project). 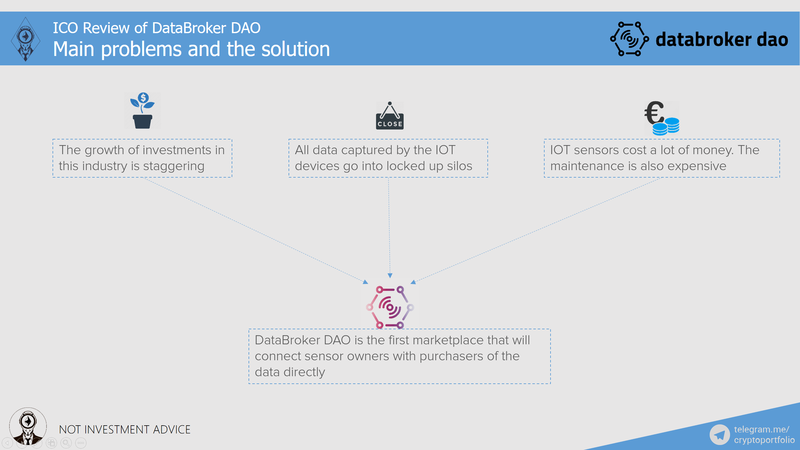 DataBroker DAO is the first marketplace that will connect sensor owners with purchasers of the data directly. Of course, we shouldn’t forget about the competitors. We talked about IOTA, but forgot STREAMR. STREAMR is concentrated on replacing IoT stack, from top to bottom, with the Streamr solution. Basically, they need to replace the industry with 30 billion sensors. What about OceanProtocol? 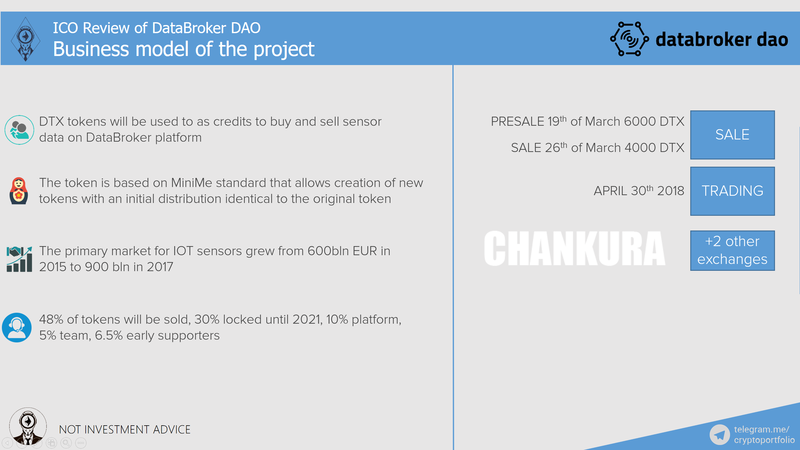 Their focus is a new kind of BigchainDB-based network specifically for buying and selling AI datasets. 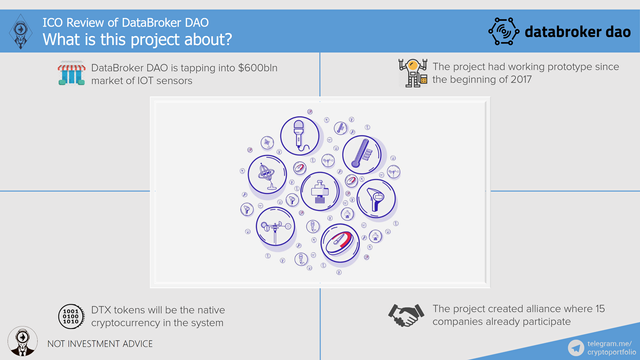 The roadmap specifies several years before their solution will be ready, while DataBroker DAO will have white labeled platform at the end of 2018. I can't vote for much but I am resteeming your reports to my 4000 followers.